The Cyprus problem and the contribution of the Greek Orthodox Archdiocese of America to efforts to promote the issue in Washington as well as initiatives aiming at the solidarity of the Greek-American community with charity foundations in Cyprus and educational issues will be on the agenda of the official visit of the Archbishop of America Demetrios to the island tomorrow. During the visit, Demetrios will be received by President Anastasiades, who will host an official lunch in his honour. Demetrios will have meetings with the Archbishop of Cyprus Chrysostomos II, the House President, the Minister of Foreign Affairs, the Minister of Education and Culture as well as with the Ambassadors of the US and Greece to Cyprus. He will visit the Turkish occupied monastery of Apostolos Andreas. 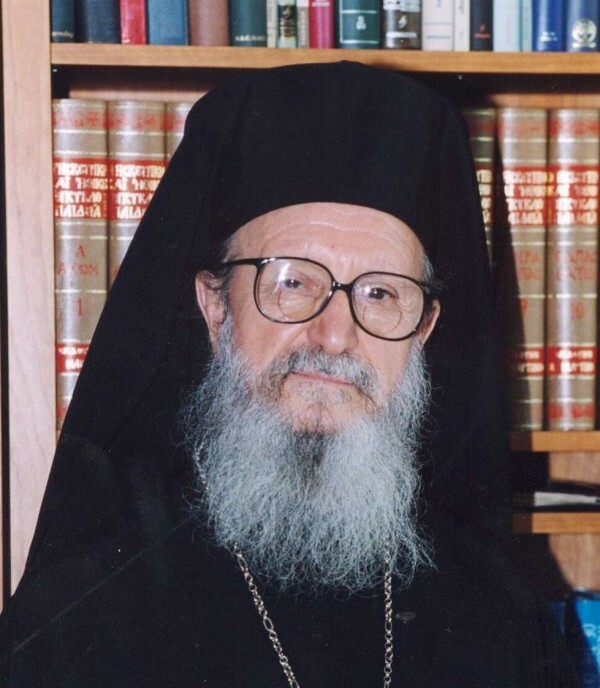 Furthermore he will visit charity institutions, while on October 26 he will attend a mass at Saint Demetrios church in Nicosia, on the occasion of his name day and will host a reception. In an interview with CNA, Demetrios described the actions taken by the US, on the level of the President, the Vice President, the Secretary of State and other officials with regard to the Cyprus question as important, noting that during his visit he will have the opportunity to discuss the prospects of solving the Cyprus problem and terminating the Turkish occupation, as well as other issues related to this. Demetrios praised the contribution of the Cypriots living in the US to efforts to raise awareness as regards the Cyprus problem, through their activities in Washington, at the White House, the State Department, the House and the Senate. Asked about his contacts with US high ranking officials on the Cyprus problem, he said that his conclusion from his contacts is that this is a very difficult issue to solve. He described the Turkish occupation as “harsh and inappropriate” and should be immediately terminated. He noted that the illegal settling of Cyprus` Turkish occupied areas has significantly changed the population in these areas. Demetrios stressed the fact that during his address at the recent Clergy Laity Congress of the Greek Orthodox Archdiocese of America, US Vice President Joe Biden spoke about the invasion and occupation of Cyprus, adding that this was a remark from a US leader which goes beyond statements usually made by Washington. At the same time Demetrios noted the “strong alliance between the US and Turkey”, adding that even though their relations have been tarnished, the situation in the Middle East has attributed Turkey a very serious role to play. Demetrios said this is the fourth time he is visiting Cyprus and noted that he was honoured by the invitation extended to him. He said that during the past years a very strong bond has been developed between the Archdiocese and Cyprus. Referring to educational issues, he noted that approximately 20 teachers from Greek schools in the US visit Cyprus every summer and attend a seminar, organized in cooperation with the University of Cyprus and the Education Ministry of Cyprus on how to teach the Greek language, the Greek culture and Orthodoxy. He noted that during his visit he will have the opportunity to discuss ecclesiastical issues with the Church of Cyprus. Asked about the issue of Halki Seminary, the Archbishop said that Erdogan is obviously annoyed by the fact that the Americans bring up this issue on every occasion, and that during a meeting they had in New York Erdogan told him that Turkey wants to be given two mosques in return for the School.